A litany from Howard Thurman, heard in church on Sunday. . . When Joseph and Mary presented their baby at the Temple for his dedication and for Mary's purification, they offered the sacrifice reserved for poor families who could not afford the cost of a lamb. Jesus was born into a very poor family. Jesus lived as a very poor person. The Dallas Institute of Humanities and Culture will host its annual Martin Luther King, Jr. celebration symposium on Monday evening, January 21, 2008 from 7:00 to 8:45 p.m. at The Belo Mansion. Central Dallas Ministries is very proud to be one of the community organizations co-sponsoring the event. 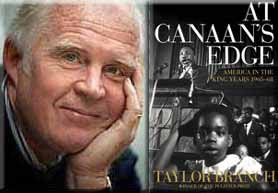 Pulitzer Prize-Winning author Taylor Branch will be the distinguished speaker. Branch's epic trilogy, America in the King Years, won him the coveted prize. The title of Branch's lecture for the evening: "An Audacious Faith: The Legacy of Martin Luther King, Jr."
Following his presentation, our own Gerald Britt will be one of the panelists leading a discussion of Dr. King's legacy and Mr. Branch's commentary. It will be a wonderful evening in honor of Dr. King. The Belo Mansion is located at 2101 Ross Avenue on the Arts District side of Downtown Dallas. Admission is by reservation only and costs $20 per seat, with school teachers receiving a nice discount at $10 per seat. To register call 214.871.2440 or go online at http://www.dallasinstitute.org/. If you are in or near Dallas on this special night, you should plan on attending. Our dear friend, Ann Arnold called last week. She learned of the death of my father and needed to touch base to make sure we were alright and to express condolences. Ann and Wayne Arnold have lived in New Orleans, Louisiana for over 40 years. Their daughter, Missy Arnold Wilson, and our oldest daughter, Jennifer, have been good friends since they were little girls. We met the Arnolds when we moved to New Orleans in 1975. During our five years in that wonderful old city, Ann and Wayne showed us the ropes in more ways than one! Wayne and Ann are heading into their third Christmas since Hurricane Katrina ravaged their city. 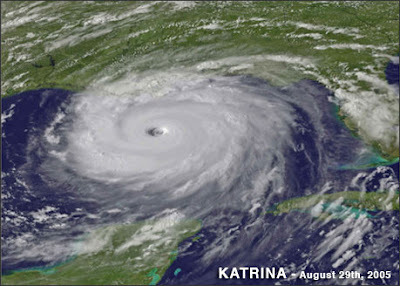 Nothing much has changed or been done to address the disaster left in Katrina's wake. I've been watching Brad Pitt on television over the past couple of weeks. Last Friday evening, Larry King interviewed him. He's been on all the major networks promoting his "Pink Project" as a part of his "Make It Right" campaign (http://www.makeitrightnola.org/). I wonder how our government would have responded had a major earthquake hit Los Angeles or San Francisco or Seattle and caused the same scale of damage and destruction? How about a massive nor'easter storm along the coast of New England? Or a devastating series of tornadoes ripping through the heart of Dallas? How would you feel if it were your hometown? Your house? Your children's school? Last week we watched news reports from New Orleans that pictured irate residents of public housing protesting the demolition of several thousand units of housing that had been their homes. I know we can argue about plans and strategu. I might even agree with the developers who apparently intend to use low income housing tax credits to rebuild a portion of the city with a focus on mixed income neighborhoods. But, the point here is the understandable frustration of the people of New Orleans. Nothing has happened to give residents even a glimmer of hope. So, the city is now depending on private efforts. Brad Pitt is the best thing going in New Orleans these days. But individual, grassroots only efforts will never be enough. Forget the past lack of responsiveness. Don't even go down the path of who's to blame for the incredible lack of progress--believe me, it's hard to heed my own directive here! Here's the point: What can be done going forward? How can the American people help Brad Pitt and our fellow Americans living in New Orleans? New Orleans provides a case study in a major national disaster in an urban area and how it should be attacked. 1) The President of the United States should appoint a "Director of Recovery for New Orleans and the Gulf Coast." This new appointee must be a very strong and proven leader and should sit with the President's Cabinet and be authorized to marshal the resources of every government agency around the table. This Director's job would be to develop a plan for rebuilding the city of New Orleans and the Gulf Coast region. He or she would certainly devise a strategy for working closely with the residents in the process, but the ultimate responsibility would be the Director's for bringing about the reconstruction of the city using every resource available. Every Cabinet agency and department would likely find a place in the massive effort. 2) Working with the Congress, the President should lay out an aggressive appropriations plan for funding the rebuilding process. The Director would coordinate and inform the funding strategy that would also draw in local, state and private investments in the entire plan. A nation that can spend hundreds of billions of dollars on war should be able to spend whatever is necessary to restore a major American city. 3) The President should make the renewal of New Orleans and the Gulf Coast a priority and he should challenge both major political parties to make the city's rebirth a key part of their respective party platforms in this election cycle. The challenge of New Orleans offers our leaders a wonderful opportunity to rediscover the strength of bi-partisan approaches to difficult national problems. 4) Any plan should contain clear benchmarks and measurable outcomes for judging progress and measuring success. 5) The plan would involve private, national, regional and local sources of funding, volunteerism and community development but only as complimentary to the larger, public effort. Three Christmases in "the city that care forgot." Tragic how that well known phrase of celebration has turned in a horrible way to be a summation of the national response to its time of greatest need. W must act to restore the care to this amazing national treasure. If we fail the "care test" here, we may fail in other cities in days to come. States can be a lot like people. Operating philosophies produce certain results. Neglect tends toward tragedy and amazingly disturbing outcomes. Here's how bad things are in Texas these days: The Dallas Morning News ran a multi-page, feature report in its Points section last Sunday with the headline, "The bottom line" (December 23, 2007, 1P, 4-10P) chronicling the social nightmare that is playing out in the overly proud Lone Star State. Want a study in the extended consequences of "trickle down," laissez-faire public policy? The state is a model of how not to do it in just about every category related to the prevention and relief of human suffering and societal injustice. Talk about the power of a system gone wrong. First in teen births and the most repeat teen births in the U. S.
If I'm a Texas preacher today, I figure I have a few things to bring up with my congregation. If I'm a Texas legislator, after I take a long look at myself in the mirror, I figure I've got a few things to work on. If I'm a citizen of the state, and I am, I figure I need to be engaged at several levels. I often wonder if anyone today actually understands Jesus. Certainly, few out of my tradition seem to comprehend what his mother expected of him as she carried him to birth. Mary's song, often referred to as The Magnificat, anticipates a very different sort of Savior than the one celebrated in many churches on this day. Her lyrics arise from a strongly prophetic tradition. Her words reveal that the baby she will bring into the world will be a warrior for the poor, a strong advocate for the oppressed, a major source of inspiration for the marginalized. the lowliness of his servant. Advent is a season embedded in the Christian calendar when we are taught lessons about waiting, a waiting that leads us to Christmas and the arrival of the child we've been longing to receive and greet. "When they had gone [the Magi], an angel of the Lord appeared to Joseph in a dream. 'Get up,' he said, 'take the child and his mother and escape to Egypt. Stay there until I tell you, for Herod is going to search for the child to kill him.' So, he got up, took the child and his mother during the night and left for Egypt, where he stayed until the death of Herod" (Matthew 2:13-15a). King Herod, the Jewish leader, issued a binding executive order that all the male children two-years-old and under in the environs of Bethlehem be executed. No doubt, to defy such an order would have been illegal and likely a capital offense. Border security being lacking between Israel and Egypt allowed Joseph to become a migrant refugee in a foreign nation that shared a border to the south with his homeland. This story always reminds me of friends I made in New Orleans and here in Dallas who fled to the U. S., usually without documentation, seeking safety from the death squads of Guatemala and El Salvador in the late 1970s and early 1980s. Overall though, the story reveals that Jesus himself, as a very young child, was the equivalent of an undocumented immigrant in Egypt. In many ways he was illegal. Somehow this Christmas I'm believing the story could be instructional for people of faith as we continue to consider the issues associated with undocumented residents of our communities who've come seeking better lives, safety and new hope. So long as my memory lasts, I'll likely never forget the week linking the third Sunday in Advent with the fourth Sunday 2007. 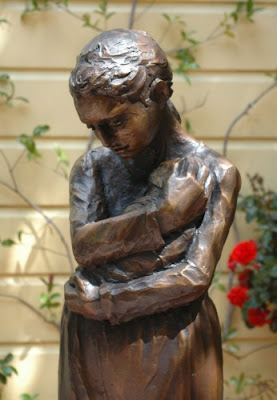 While waiting for the arrival of the child of hope, my father died. At mid-week we gathered with a crowd of friends, relatives and associates to begin the memorial and healing process. Dad's wake or "visitation" on Wednesday was not only memorable, but remarkable. Church folks, relatives, long-time business associates, people from all walks of life dropped by to express their love and sympathy. The rich, the poor, the educated, the uneducated, the young, the old--all came to pay their respects. Two guests stand out from that evening. Julio worked with my dad as the maintenance supervisor for one of their retail centers, as well as other properties. He and my dad became close friends. Julio loved dad and dad returned the sentiment. I expect that Julio visited my father 75 times over the past three months. He was a special friend and a valued partner to my dad. Of course, Julio was among the first to arrive Wednesday evening. Tatum is a little girl from my parents' church. Still in elementary school, she and my dad shared a very special friendship. Not long ago, Tatum went through a major health crisis of her own that included a liver transplant. She loved my dad and he loved her. She came with her parents. She couldn't stop the tears. The bond between this old man and this sweet little girl was beyond amazing. Love is something, isn't it? On Thursday, we laid my father's worn out body to rest, as he went on to a world we can only imagine at this point. John Siburt is a young, brilliant, genuine, loving pastor. The church is so fortunate to have him as their leader. His message was finely crafted and full of the kind of heart my dad always appreciated. My dear friend, Edd Eason spoke and did his typical touching, healing work. To me, Edd is like the brother I never had. Dan Stevens provided the music and, as always, his voice was inspirational. Friday was quiet and lonely. But, good. Saturday, while trying to wrap up preparations for our family Christmas, Brenda and I were involved in an automobile accident. As we drove down LBJ Freeway, a car sped out of nowhere at a high speed and hit our car lightly before crashing into a retaining wall, spinning out of control back into the traffic, hitting another driver before coming to a violent stop on the other side of the highway. The driver of the runaway car was seriously injured, but the rest of us miraculously escaped harm. Cars can be repaired. I pray the other driver can be as well. None of us have guarantees, do we? So, during this particular "in between time" waiting for The Arrival, we are very aware that we are fragile, limited, vulnerable. Life is largely out of our control. It is clear that we need each other. It is certain that we wait together for a very good reason. Who knows what tomorrow will bring? But, we wait gladly. Years ago, a good friend commented to me that "our children live in a very noisy world." He was speaking of the life environment of inner city families and children. Here is a paradox we would do well not to ignore: communities of health and strength are built and maintained by individuals who understand the importance of the "inner life." The ability to go inward, to find times for quiet reflection, to pray and to meditate--this is essential to the growth of authentic, life-sustaining groups. 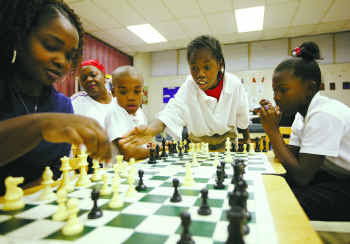 Community development depends on the "soul-development" of each member of the community. Writing at its best must come from deep within, for often that is where truth and originality lie; none comes entirely from the upper tenth of gray matter. It is when one reaches down into the dark realms of the past that great ideas surge forth. 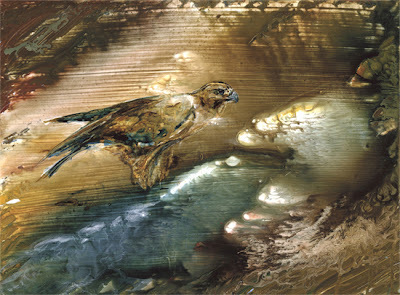 When we follow the symbolic discipline of moving into the well of our Self, we find that we develop an increased capacity of inward perception. This capacity seems to be inherent in human beings and is a natural mode of awareness. Since it is inward, however, it tends to be little used in cultural situations where the individual’s attention is constantly being pressured by the outer environment. When, on the other hand, we establish an atmosphere that makes is possible for the attention to be turned inward in a quiet way, this capacity shows itself to be very actively and strongly present in persons who would have thought they did not possess it at all. Lots of folks have theories and opinions about the so called "poor." I invite and encounter the theories right here almost every day. Most who comment here don't really understand poverty or what life is like inside the limits defined and imposed, often cruelly, by this reality. I know for sure that I don't really understand. I'm not poor. I've never been really poor. I come face-to-face with my ignorance when I relate to impoverished families who must deal with the practicalities of death in the city. What is a very poor family to do when a loved one dies? No ability to line up credit. No real options that they control or direct. A loved one passes. A lifeless body must be cared for. How? Shysters move through our neighborhoods on a regular basis selling "insurance" policies that hold out a solution for this frightening challenge facing every poor family. The promises seem wonderful, until it is time to file a claim. Amazing how the fine print disqualifies almost everyone. I know there is a special place reserved in hell for people who exploit the aging poor around the issues arising at the end of life. How does a family with basically nothing pay for a funeral and a burial? Bottom line: if you are poor and if your daddy dies, what do you do? You call for a family meeting. Everyone pools their almost non-existent assets. You total up your ability to pay. Then, you beg. You go to friends and neighbors. You talk to your church. It may take you weeks, but you do what you have to do to lay your loved one to rest. Whenever I am with grief-stricken families who have no financial resources, I see the agony, the pain, the embarrassment and the desperation. Most of us can't imagine, especially some church folks who operate out of their air tight theories about poverty and the lives of poor people. Years ago my good friend and partner, John Greenan, told me that we should purchase land and create a cemetery and a funeral home. He had in mind the community we love and live with daily. He knows that the final and ultimate act of community involves celebrating the lives of our friends and providing a dignified and kind burial. John always seems to get it. He keeps it real. Most of us who seem to care never think about this inevitable human dilemma. How do I bury my father when I have nothing? The question is real. The answer goes to very important work. Across the years we've helped bury lots of people. I'm looking for land so that we can do this important work more effectively and with much more dignity. Some say, and I happen to agree, that Rochester Park is about as rough and tough as it gets in inner city Dallas. The neighborhood the city forgets. This in spite of the fact that this community is among the most historic and significant in the city. Right in the heart of this community, in the middle of a public housing development, sits Central Dallas Ministries' After School Academy where we've been at work since 2000. I expect you receive all sorts of invitations to view video presentations online. So, forgive me, but the collection of still photography in this link from The Dallas Morning News is a must-see for anyone who cares about our urban communities, the education of children and the uplift of everyone who is striving for a better life. Take a look. You won't be sorry that you did. My father died Sunday night at 11:36 p.m. He had been ill for several difficult weeks. He was 87-years-old. Morris Franklin James was a decent man in every respect. And, as a result, he never lost my respect as his son. Dad and mother celebrated their 68th wedding anniversary back in November. When I told my mom that we had lost dad, her first, tear-filled words were very simple: "Ohhhh! I've lost my best friend." Over the past several months my folks have been turning their business affairs over to me. I've been learning a lot about their life together that I didn't know before. Even today, as we made preparations for dad's funeral, I found two very interesting documents. One was a letter to his uncle about a business deal gone bad in more ways than one. From the letter it was obvious that my father felt that his uncle was not making honest decisions. In fact, my dad feared that my uncle was involved in illegal activity with some of their struggling company's limited assets and inventory. He called the older man to task over it and resigned his position. The other document contained his notes from a speech that he delivered to the Richardson Rotary Club on January 7, 1957. At that time dad served as City Secretary for the booming City of Richardson. The purpose of his speech was to report on the rapid, but well-planned growth of the city. In reading over the speech I could hear laughter ripple across the crowd as he joked about the early real estate developers and their important role in the growth of his city. I may decide to post this document at a later time. I was amazed at the way he regarded and emphasized the importance of a commitment to the good of the entire community, a theme I return to often on these pages. The two documents have at least one thing in common: I never knew about them or about the events they describe. My dad majored on quiet humility, especially when it came to his own accomplishments and struggles. I cried Sunday night. I know I will cry again and often. No man could be more fortunate than I have been throughout my life, thanks in large measure to the role of my dad in my life. I know that even though his work is finished, he will never really leave my side. His influence, his manner, his values, his love--these parts of my dad's life will never be gone from my own journey. On Sunday afternoon, during our last visit before he slipped off into a deep sleep, I asked him how he was doing. His response was typical. "I'm doing wonderful." You're right, dad. You did wonderful for a very long time. Yesterday's edition of The Dallas Morning News carried an in-depth report on Central Dallas Ministries' After School Academy at Turner Courts. If you care about children and the challenges they face growing up in inner city neighborhoods, you'll defintely want to read the story. Below is a version of the Donald Lawrence song "Encourage Yourself," rendered by one of the young ones in CDM's After School Academy. 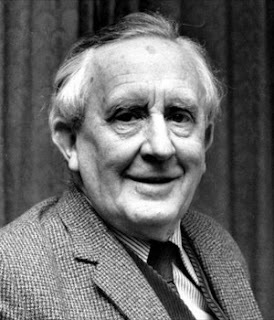 Much of his music asks important and difficult questions. "Radio Nowhere" exemplifies Springsteen's longing for community, as well as his grief over its disappearance. Media creates artificial connections, making continuous noise without purpose or significant content in a way that begs the questions he poses in his latest album, "Radio Nowhere." We need to know that the rhythm of life is still moving us along in a good direction. In this song Springsteen wonders about our viability as a human community. As I mentioned a few days ago, the Stefano Elliott Band has a new CD on the market. The title track, "Right Here," describes the life of a homeless person. I'm grateful to Mikey Cunningham for writing the song. I'm grateful to Nino and the band for deciding to donate a portion of the sales on this collection to Central Dallas Ministries. Thanks to the band, I have in my possession several copies of the new CD. I'd be happy to send you one, if you get word to me before they are all gone! To request a copy email me at: ljames@CentralDallasMinistries.org. To hear the music online, visit: http://www.myspace.com/stefanoelliottband. Thanks again, guys. You are the greatest! Mention racism on this site and immediately I get negative reactions from a few white folks. It seems we are eager for everyone to understand that we "get it" and that we are no longer racist in our view of the world, and neither are any of the systems or institutions with which we have anything to do. Usually those who respond as innocent of my charge will catalog the proof of the absence of personal prejudice in their lives. Many go on to argue that we are in a new day in the U. S., that racism has been overcome, and that to continue to discuss it is counterproductive at best. On Monday the U. S. Supreme Court, in a case involving the very obvious disparities in mandatory sentencing rules imposed on courts by the Congress for offenses involving the use of powdered cocaine compared to crack cocaine, ruled that judges can use their traditional discretionary authority to impose reasonable sentences, even if federal guidelines direct some other verdict. In essence the court ruled that judges can ignore the sentencing requirements that make the use of crack cocaine more legally objectionable than the use of the powered variety. So, sentences against African American crack cocaine users have been much harsher than those rendered against more affluent, white users of cocaine in powered form. In short, blacks have not received equal treatment under the law in thousands of cases. Systemic racism often works against black Americans in a manner that often devastates families and communities. This racism may have nothing to do with the way some individual white people feel about their black neighbors. But, the power of the racism embedded in the Congressional mandate for mandatory sentences for certain crimes is blatantly racist and affects the African American community in a disproportionately negative manner. For years I've watched crack users receive much stiffer sentences than those who used powdered cocaine. Both are devastating. Most users need lots of help. What black folks don't need are stiffer sentences for the same violation of the law as whites. The same kind of systemic racism can be observed when looking carefully at the administration of death penalty sentencing. Black who are convicted of capital crimes against whites receive death sentences at a significantly higher rate than do whites who kill blacks or blacks who kill other blacks. Racism is insidious. It is still very much alive in our culture. Unfortunately, the fact that you really aren't personally prejudiced is simply not enough. I don't appreciate self-promotion. Then again, I guess to be honest every blogger must own up to some of that ego-driven urge to speak. Whatever the case, I'm proud to say that DMagazine recently included Urban Daily on its "Blog Roll" list that claims to identify those blog pages that its readers judge to be most important in Dallas. Hopefully, being included on this list will help us get our message out to a wider audience. At the same time, I'm hoping that exposure to our focus neighborhoods will help bring about needed changes for the benefit of everyone in our city. Thanks DMagazine! We needed that. View the entire Blog Roll at: http://frontburner.dmagazine.com/. Comparative international studies. . . report that once a nation has achieved a moderate level of per capita income, further increases in wealth bring only slight increases in perceived well-being. . . . Beyond the minimum level of income essential to meeting basic needs, the authentic relationships of strong communities are a far better predictor of happiness and emotional health than the size of one's paycheck or bank account. . . . Over the last half of the twentieth century, inflation-adjusted U. S. gross domestic product per capita tripled, yet surveys indicate the self-reports of satisfaction with life have remained virtually flat. From David Myers, "The Secret to Happiness," http://www.yesmagazine.org/, summer 2004 as quoted in Brian D. McLaren's latest book, Everything Must Change: Jesus, Global Crisis and a Revolution of Hope, pages 210-211. Funding to adequately support the work of the Department of Housing and Urban Development (HUD) and its essential programs that help communities like Dallas and organizations like Central Dallas Ministries (CDM) serve and house the homeless is in danger of being written out of next year's appropriations legislation. Congress and the President are at odds with each other about the level of funding for any number of federal agencies. The Congressional proposal includes crucial increases to housing and homeless assistance programs. The President intends to veto the overall spending bill. Congressional leaders intend to offer an omnibus funding bill that split the difference between what the House and Senate have agreed on and what the President has requested. That may sound reasonable, but for HUD programs such action would be devastating. Any cuts would mean the actual loss of housing assistance for some people currently being served who are the poorest of the poor in the United States. Cities like Dallas, Texas rely on the Community Development Block Grant program (CDBG), low-income housing choice vouchers and Homeless Assistance Grants to develop and maintain quality housing for our low-income neighbors. These funds are good for the poor and they are good for real estate developers who serve the market at the lower end of our economic scale in Dallas. CDM has benefited from each of these funds in the past in our efforts to house people. The President's plan would deprive tens of thousands of low-income families of decent housing. At the same time, landlords would lose as well. The U. S. House and Senate conference agreement currently includes $1.586 billion for McKinney Homeless Assistance Grants, a $144 million increase over fiscal year 2007, and a $25 million set-aside for communities to implement rapid rehousing programs which move families into permanent housing linked to supportive services. Again, both funds relate directly to the housing develop plans we are pursuing today here in Dallas. In fact, this modest increase for McKinney funding would be sufficient to continue existing homeless activities and fund fewer than 8,000 new units of permanent supportive housing--well below the pace of new units funded between 2001 and 2004. City leaders in Dallas estimate that we need a minimum of 1,000 new units here alone. Currently, due to the failure of the Congress to pass a new budget, federal programs are operating under a continuing resolution that funds programs under fiscal year 2007 levels. It is expected that Congress will pass an omnibus spending bill before the continuing resolution expires on December 14, this coming Friday. Please contact your Senators and your Representative in the U. S. House immediately. Ask them to support full funding for the U. S. Department of Housing and Urban Development in FY2008, as originally proposed by the Congress. Urge them to not support any compromise that would cut into HUD funding for the extremely poor in our nation. Personal and practical note: Yesterday, I met over lunch with two leaders here in Dallas to collaborate on how to produce more high-quality, permanent supportive housing for the chronically homeless with special attention to the disabled and mentally ill. Our plans cannot be completed without public funding like that provided for in the original HUD budget plan. Get involved. Contact your U. S. legislators today. Your active involvement will change lives. This time in Omaha, Nebraska. An extremely disturbed young man with an AK-47 automatic assault rifle attacks an upscale store in a large shopping mall before taking his own life. Unfortunately, events like this don't surprise us anymore, do they? Maybe I just don't get it, but do we really need to be able to purchase and own AK-47s? Is this what the Second Amendment really had in mind? And, weapons like this have nothing to do with game hunting. I can hear my boo birds already. "If you make guns like this illegal, you'll just create an underground market. You can't control guns by making them against the law," etc., etc., etc. Assault weapons, designed for only one purpose--the taking of human life--should be against the law. The manufacture, sale and ownership of weapons like this should not be allowed in this country. Anyone caught making, selling, owning or using such a weapon, except the U. S. military or law enforcement officials, ought to be charged with a felony offense. Those who manufacture and sell such weapons for any non-military use should pay a price. Gun violence continues to be a major problem in urban America. Here in Dallas it seems like we read a story a day about death by guns. No one is arguing against hunting or the right to organize for national defense. Since writing this, we have watched reports on two more shootings in Colorado. At this time it is uncertain if they are connected. Early reports indicate that they may be. Both involve people of faith as targets of the shooter(s). One report I heard interviewed a witness who mentioned seeing the shooter with "an automatic assault rifle." No relationship between this type of weapon and any rational reading of the Second Amendment. When will this madness end? When will we demand steps be taken that could at least make such insanity much more difficult and subject to tighter regulation and penalties? I sat by my dad as he tried to eat his lunch. He has great difficulty swallowing. He has little appetite for any kind of food, especially that served up at the skilled nursing center where he lives right now. He tries, but it is so hard for him. Strange, how it breaks my heart to watch him, but at the same time it is so good just to be with him. Sort of like those times when I was much younger and we would occupy ourselves out in the garage for hours doing. . .I can't remember what. . .we were just together. I loved those times. I think he did too. Now we sit and visit, but with long periods of silence between us. I'm having to come to grips with the fact that he is dying. But then, aren't we all? At times like this I realize again the importance of just "being with" a person you love. But, back to the lunch room. We sat at a table with his roommate, R. V. Thompson. Dad and R. V. worked together over 50 years ago at the City of Richardson. R. V. was the Mayor. My dad served as City Secretary, a position like City Manager today. At the time, Richardson's population numbered about 1,500 or so. A few stories have been heard between them as they've shared the same room. We feel fortunate that R. V. is dad's roommate. Also at the table was a lady who cradled a baby doll in her arms as she ate. Sad, but sweet and moving. She found comfort in some far away memory of her own children--the ones she loved the most, no doubt. The other man who shared the table couldn't talk much, but he too was a long-time Richardson resident known by my dad and R. V. It was just good being with them all. It was also sad. But, you know, sad is okay. As I sat with my father, I remembered lots of visits years ago to nursing homes with youth groups. Many, if not most, of the residents we visited enjoyed our visits, but it was clear that after we left most of the residents probably didn't remember that we had been there. It hit me as I sat with my dad that it didn't matter. They knew we were there when we were there. Just like my dad. So much of what counts most in life is all about just being there. You know? Just being there. . .that's hard to beat. The residents of Turner Courts who were interviewed are our friends and neighbors. 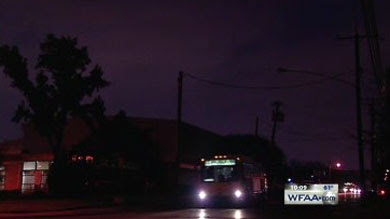 The story about the extremely dark streets without working street lights and the change in DART's bus routes after 6 p.m. came to the attention of Channel 8 thanks to the efforts of our team at Turner Courts. Janet Morrison, Wyshina Harris and Sylvia Baylor have been organizing neighbors to speak out about basic living conditions and public safety issues in the community where one of our After School Academies is located. I say "good show" to all those involved in bringing the reality of this neighborhood to the attention of the larger community. I'm looking for future reports of progress and better communitiy services. The ongoing national debate over the fate and status of undocumented immigrants is an extremely noisy phenomenon. I mean, if you listen to the talk shows and lots of media interviews, you might get the feeling that the entire nation is ready to remove the inspirational inscription from the base of the Statue of Liberty! I've decided that the majority of Americans do want to see the borders secured and the law, whatever its requirements, obeyed. What is being overlooked, I believe due to the rumble and chaos of most reports on the debate, is that most of us would like to see new, fair policy put in place that would allow immigrants from Mexico and other nations south of our national borders remain in the country permanently. A recent Los Angeles Times/Bloomberg Poll reveals this, in fact, is the case with the majority of U. S. citizens. Sixty per cent (62% of Republican voters and 64% among Democrats) of those polled favor allowing the undocumented who have not committed crimes to stay in the country and become citizens if they pay fines, learn English and meet other requirements. Forty-six percent believe that undocumented immigrants should be able to receive emergency medical treatment in our hospitals. Forty per cent agreed that immigrant children should be allowed to attend public schools. Almost one of four felt that some sort of limited driver's license might be a good idea. Listening to a CNN report on the findings of this poll, I noted that most who called in or emailed opinions were vehemently opposed to the majority opinions expressed by those who took part in the poll. Out here in inner city communities where a growing number of immigrants reside, work and raise their families, we see the problem much differently than the angry callers who just want to "pack 'em up and send 'em back" to wherever. Even the headline in my Dallas Morning News spun the data negative ("Many would deny illegal migrants social services," 14A, Thursday, December 6, 2007) in spite of the fact that most respondents favored more welcoming treatment of the undocumented. A couple of weeks ago I opened my morning paper to read a front page story of a woman who I've known for years here in Dallas. She attended a Park Cities church for years and that is where I met her. She had organized an entire movement of "concerned citizens," many of them from local churches, to stand against the horrible threat of law-breaking, criminal immigrants and their deplorable children. The recent poll gave me some new hope. Maybe most loyal Americans look at the issue much differently than my old friend from church. On November 13, 2007, The Economic Mobility Project, an initiative of The Pew Charitable Trusts issued a report on economic mobility in the U. S. Included in the findings was the fact that two-thirds of American families are earning more today than their parents did a generation ago, yet the likelihood of these younger families moving up—or down—the economic ladder still depends in large measure on their parents’ position. Researchers for the study included a group of experts from The American Enterprise Institute, The Brookings Institution, The Heritage Foundation and The Urban Institute. The project issued three research reports. One reports on family mobility over the past three decades, while the other two investigate differences in mobility by race and gender. According to the first report, “Economic Mobility of Families Across Generations,” two-thirds of Americans saw increases in income, adjusted for inflation. the report also notes that Americans live in smaller families today, so higher incomes are spread over fewer people. In percentage terms, income gains were highest for children born to parents at the bottom of the income distribution. An extremely significant aspect of the findings centers in the fact that Americans’ ability to move up or down the economic ladder is tied closely to their parents’ economic position. Forty-two percent of children born to parents at the bottom of the income distribution remain at the bottom, while 39 percent born to parents at the top, stay at the top. While black children are experiencing some of the income gains that all Americans do—63 percent make more today, after inflation, than their parents did—there are dramatic differences between blacks and whites at each income level. The report found that only 31 percent of black children born to parents in the middle-income group have family income greater than their parents, compared to 68 percent of white children in the same circumstance. Almost half (45 percent) of black children in the middle-income group fall to the bottom of the income distribution in one generation, compared to only 16 percent of white children. In fact, for every parental income group, white children are more likely to move ahead of their parents’ economic rank while black children are more likely to fall behind. “Much of my research is focused on the challenges faced by low-income black families, but these data are very disturbing, because they suggest that most middle-income black families are having difficulty transferring their hard-earned gains to their children,” said Ronald B. Mincy, the Maurice V. Russell Professor of Social Policy and Social Work Practice at Columbia University and a member of the Economic Mobility Project’s Advisory Board. The report on the comparative economic mobility of men and women, spotlights the fact that the growth in family incomes is largely due to the fact that far more families now have two earners. Male earnings have been stagnant over the past generation. The report found that sons and daughters have approximately the same likelihood of moving up or down the economic ladder. The exception is women whose parents were at the bottom of the income distribution. Partly because they are more likely to be single mothers, nearly half (47 percent) of daughters born to parents at the bottom remain at the bottom, compared to 35 percent of sons. The reports also introduce a new typology, developed by John E. Morton, Pew’s managing director of economic policy and director of the Economic Mobility Project, and Ianna Kachoris, senior associate at Pew, in collaboration with Isaacs, which describes how families experience mobility. According to the typology, thirty-four percent of Americans are upwardly mobile, meaning they surpass their parents’ family income and economic rank. Twenty-seven percent are riding the tide, children who surpass their parents’ family income but remain in the same economic position as their parents relative to others in society. Five percent of Americans are falling despite the tide, meaning they are making more than their parents’ family income, but are actually falling behind their parents’ relative economic position. Thirty-three percent are downwardly mobile, making less than their parents family income and falling behind their economic position. More information about the project is available at http://www.economicmobility.org/. I've "lifted" the language for much of this post from the press release issued by The Pew Charitable Trusts. The report's significance for our work in Dallas relates to what we see among the growing urban underclass. The growing gap between the well-off and the urban poor continues to be a troubling and incredibly difficult reality in the inner cities of the United States. It can block us from accomplishing what we know would be best. When fears affect judgment, progress and renewal stall out. Poverty knows all about fear. We see evidence of fear on a daily basis in the city. Just look to our streets. The City of Dallas has taken steps to criminalize homelessness. Panhandling, "loitering" (read here: trying to find a place to simply stop the endless, daily parade of walking to rest just for a while), and other "nuisance" behaviors are now illegal and can result in citations, trips to jail or Parkland Hospital's psyche ward. The condition of being without a permanent place to live can now be regarded as a criminal act. Because of their schedules, "early out/early in," shelters don't really help much with the problem of fear on our streets. Business interests fear the poor and homeless who walk our streets, believing that these unfortunate folks will destroy any chance of a Downtown resurgence. Fear blocks even the best and most innovative development efforts. Just try, as a non-profit organization, to work out a reasonable financing plan on a project aimed at providing high-quality, permanent housing for low-income people, let alone the severely impoverished homeless poor. For-profit developers are reluctant to focus on affordable housing production, again, to say nothing of real housing for the homeless. They are scared off by the narrow margins, as well as what they fear will be the unique challenges associated with managing affordable projects. Even the homeless are afraid. They are afraid of the police, ordinary people like me and you, service providers, other poor people. So, we are left with a situation defined largely by fear, misunderstandings and the inaction of the status quo. Fear makes it simpler to arrest the homeless, declaring them criminals, than to provide what is really needed: permanent housing with plenty of human support. I'm looking for leaders who will point us beyond our fear. Having spent some time considering James Cone's theological reflections on the connection between the Christian cross and the Southern lynching tree--ironically and hypocritically, the form of execution adopted by Whites who claimed to be Christians--I will conclude by simply sharing the lyrics to the moving song, Strange Fruit. Use this link to hear Billie Holiday's moving rendition of "Strange Fruit":http://www.youtube.com/watch?v=h4ZyuULy9zs. Our nation's legacy of racism and race relations leaves us with much work to be done together, today. 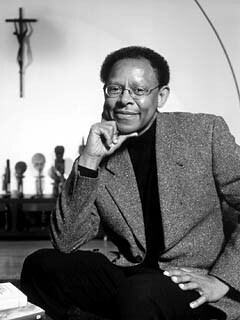 Last Friday I posted a link to a speech James Cone delivered at Harvard University. I'm not quite ready to drop the subject. Cone's work has had a profound impact on my thinking across the years. Everyone who claims to be a Christian needs to watch Bill Moyers' interview with James Cone. Again, it's the cross and the lynching tree. I'd like to get some feedback on this subject and on this surprising connection. What do you think? Rick Reilly is leaving Sports Illustrated and moving over to ESPN. I'll miss his backpage essay each week in SI. Here's a true story Reilly spun on back on May 7, 2007. It will encourage you. The story reveals the power of human connection, one of the essential building blocks of healthy community. Maybe you could use a happy story after what happened at Virginia Tech, and maybe I've got one. I have this friend, an Iowa truck driver named Mark Lemke. Last July he wrote to SI, nominating his 19-year-old son, Cory, for FACES IN THE CROWD. Said the kid set all kinds of golf records and he'd been meaning to write for a long time. Said he was finally doing it now because Cory had just died in a motorcycle wreck. Well, I wrote a column (Aug. 21, 2006) about how I got Mark on his cellphone as he was driving his tractor trailer on an Ohio highway and how he wept while talking about losing his best pal. And I don't know if it was from thinking of my own 19-year-old son or what, but it's the only time I ever cried while I wrote. And then we made up a FACES IN THE CROWD box for Cory and stuck it at the bottom of the column. Anyway, a couple of months go by, and then Mark gets this call: "Mr. Lemke?" the voice says. "It's Tony Dungy." Now, Lemke, 51, is just an ex-jock with a simple life that a motorcycle drove a hole through. The most he hopes for when he gets off the road is his wife Maud's sloppy joes and his favorite couch and maybe a frosty root beer and a Vikings game to take his mind off Cory for a few hours. So, naturally, he figures the call is a joke. "No, it is Tony Dungy," the voice says. "I'm just calling to offer my condolences to you and see if there's anything I can do to help you." Now, you've got to understand, this was in October. The Colts were into the teeth of their schedule, the most critical season in Dungy's life, not to mention Peyton Manning's, not to mention the millions of Colts fans'. They figure if their team doesn't win it all this year, the genie goes back in the bottle. But Dungy has his own sorrow to swallow. His 18-year-old son, James, hanged himself three days before Christmas in 2005. And Lemke knows this. So maybe Dungy, who's the same age as Lemke, is a guy who can relate. So they talk, and the coach tells Lemke to keep in touch. "The hardest thing for me is, I sit in that truck all day, and all I do is think about him," Lemke tells him one day. "You're lucky. You've got so many people around you to get you through the days." "Yeah," Dungy says, "but it doesn't get you through the nights." And pretty soon they've got this bond going. Dungy has a wife, five kids, the monster job, numerous charities he works with and a thousand things to do, yet he takes the time to answer every Lemke e-mail, gives him his cell number and returns every call. They go deep sometimes. Lemke gets hot at God for taking Cory. Dungy tells him that's normal, but he adds that if they keep their faith, "we'll see them again." Then it's the playoffs, and Dungy is apologizing for not replying to Lemke right away. Sorry about not getting back to you, he e-mails Lemke one day. Sometimes I can go a few days without getting on my computer, especially if our defense is not playing well. I ask you, who is that nice? Next thing you know, the Colts are in the Super Bowl and Dungy is inviting a man he's never met, a Vikings fan, no less, to be his guest there. So Lemke finds a load that needs hauling to Florida and a load that has to come back, and he drives his 18-wheel rig to Miami. The day before the game he meets Dungy in person at the team hotel. They hug. They visit. They pray. The next day Lemke takes his seat in Dolphin Stadium and watches his new buddy win it all. And this is only one stranger whom Tony Dungy has befriended. There's the former high school coach in Wisconsin whose son committed suicide. There's the young kid in Indianapolis who lost his mother and brother in a car wreck. Heartbroken people all over are suddenly getting a hand up from a man who himself should be a puddle but is instead a river of strength. Yet Dungy refuses to talk to the media about these good deeds, which only makes them better. "I'm awfully grateful to him," Lemke says. "He helped me keep my faith. He taught me that he and I, we're not alone." After two weeks of hearing about how low man can sink, isn't it nice to know how high he can rise? Tony Dungy stands as a reminder to every parent who's grieving right now that there is a way through the pain. And that way is through each other. Want a feel for and a visual narrative on everything Vietnam? 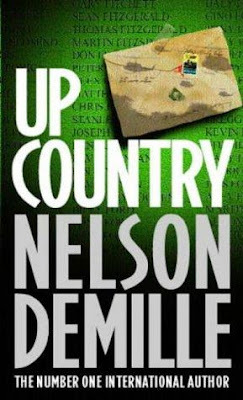 Read Nelson Demille's Up Country. I read it during my recent "retreat time" away from the city. Demille's main character, Paul Brenner, a retiree from the Army's Criminal Investigation Division, accepts an unusual assignment that takes him back to Vietnam for the first time in over 30 years. His purpose: to investigate a murder allegedly committed by a U. S. Army Captain during the midst of a bloody siege. The identity of this officer turns out to be quite a surprise. It's a great read, especially if you're looking for insights into the Vietnam War and its horror and humanity. "The journey home is never a direct route; it is, in fact, always circuitous, and somewhere along the way, we discover that the journey is more significant than the destination, and that the people we meet along the way will be the traveling companions of our memories forever."